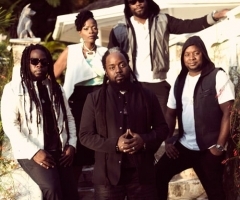 The 2016 GRAMMY Award winning band, Morgan Heritage has announced their summer tour in the U.S. 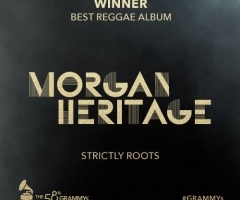 Hailed as one of the hardest working bands to promote their roots music in the global music industry, The Royal Family of Reggae is non-stop when it comes to spreading their global sound. They have recently performed in parts of Asia, Europe, and currently, Africa. “The So Amazing Summer Tour will feature some amazing talent from Jamaica, America and even the UK." 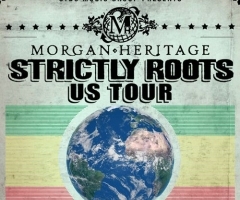 On June 1st, Morgan Heritage will perform in Pensacola, Florida to start The So Amazing US Tour. The band then travels along the southern portion of the U.S. towards California, making stops in Louisiana, Texas, Nevada, and Arizona. The band is also joined by Laza and Jemere Morgan, as well as UK’s own, The Skints, and California’s Wheeland Brothers. “The So Amazing Summer Tour will feature some amazing talent from Jamaica, America and even the UK. 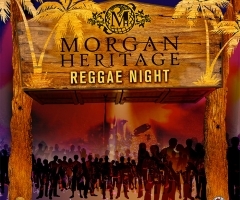 Reggae music is global and we wanted to continue to display the globalization of Reggae music by sharing our stage with young talented reggae artist and artists influenced by (other) reggae artists,” says Morgan Heritage, regarding their summer tour. The band will then travel to Europe starting July 1st. For more information about the band, check out their website.